Financial rules, habits and commons in the Netherlands might be different from those in your home-country. Therefore, we gathered them here so that you will not encounter any trouble. 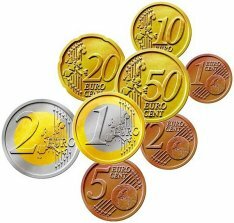 In the Netherlands the currency is the Euro. It is indicated by a €. Officially, there are eight coins and seven bills. However, coins of 1 and 2 cents are not used very much anymore. Many shops round off payments in cash to 5 cents. Creditcards will not be accepted in every store. Pinpassen or chipknips most of the time. In the Netherlands medical insurance is compelled. The 30% ruling is attractive but may have negative consequences to the real estate tax you might have to pay.